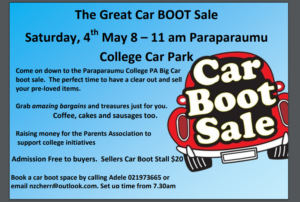 The Paraparaumu College Parents’ Association is having a Car Boot Sale on Saturday 4 May from 8am to 11am in the College Car Park. 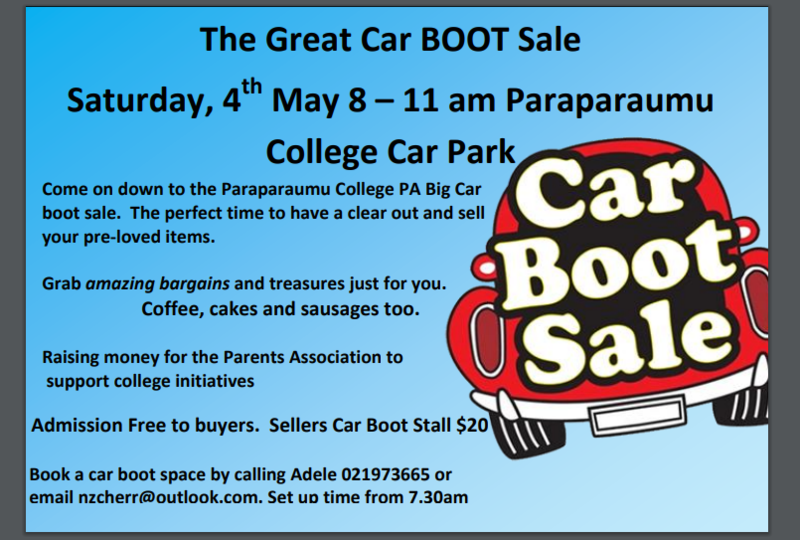 If you would like to book a car space, contact Adele on 021 973 665 or email nzcherr@outlook.com. Come on the day for bargains, coffee, cake and sausages!! Raising money for initiatives for our College.